This is a rich modern dress with some traditional accents. 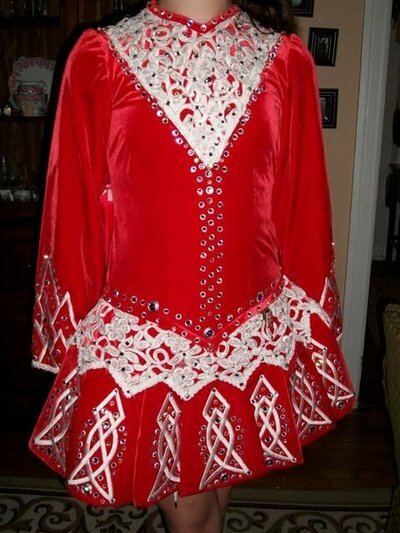 It has stunning stage presence and was worn by a high placing, tall, thin, 13 yr. old prelim dancer. (She is now in Open). It is in really good condition and was stored flat in a non smoking home. I will cover the cost of postage and will accept any reasonable offer. If needed to be returned buyer will cover postage. There are minor alterations to the dress and we added many crystals to it also. It was loved by my daughter and brought her good luck. There is room for let out.